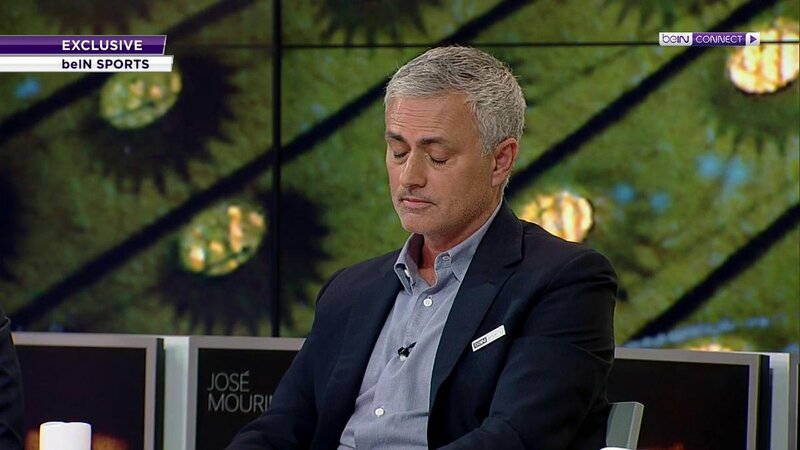 beIN SPORTS's tweet - "Mourinho takes a shot at the preferential treatment Klopp and Guardiola receive. #beINMourinho #beINPL #MUFC #LFC #ManCity "
Mourinho takes a shot at the preferential treatment Klopp and Guardiola receive. It is true. Mourinho was treated differently. However, like I've stated before on Twitter, he was good for Premier League ratings. He played the villain so well and people tuned in to his press conferences for it. He should definitely come back to Premier League. So true, we all know Jose get a different consequence for same action. He’s spot on to be fair. The difference was laughable. Nuno Espírito Santo, Wolves manager, runs onto the pitch to celebrate a last minute winner with his team. Klopp did the exact same thing when Liverpool beat Everton via Pickfords madness. 100% wahre Worte? I sink yes. Bang on..Fire in the hole..!! Maverick release..!! Mede..Mede.!! Jose schooling Richard keys and his croonies. Biased lots. Helps to be likeable doesn’t it... maybe turn the knobhead down for a bit and you won’t get banned. This guy is such a whinner and sore loser. It was even worse when he was at Chelsea. The man is right ..
Mouriniho. You have assaulted opposition managers in Spain. Twister their ears and gauging their cheeks. What TH are you chatting about? That works against you? He may be right , but look at who he is sitting with . Does that not say it all . Dinosaurs whose time has elapsed. Why tho? Because man runs his mouth chochocho and is always attacking people lol this fucker poked Tito in the eye and is here crying about a stadium ban.